The distinctive recognizable design (a ?buteh?) was initially used on Kashmir Shawls and royal garments, including crowns. The teardrop design was meant to represent the cypress tree or mango tree, which were symbols of eternal life and prosperity. 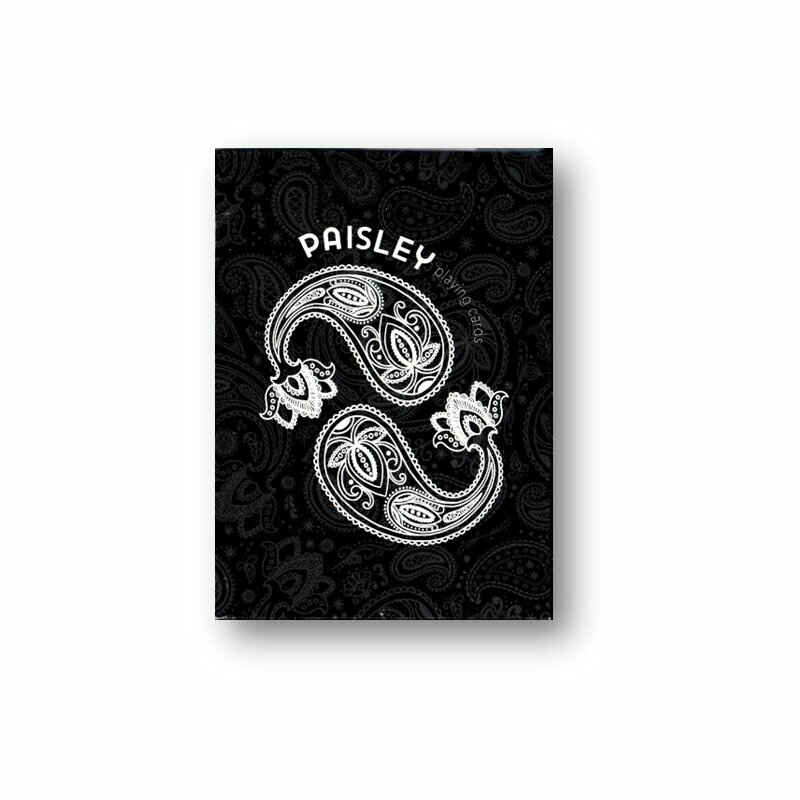 We figured this royal figure deserved a new destination... Paisley Playing Cards! We wanted to create a worker's deck for daily use and performance, 52 cards that merges elegance with function. This, nature-inspired design lends itself perfectly for a clean yet detailed back design. 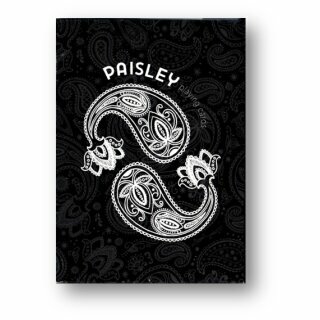 The tuck is clean, simple and allover immersed with the paisley design. 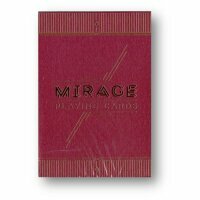 The deep black look of the tuck gives this deck of cards a rich and glamorous feeling. 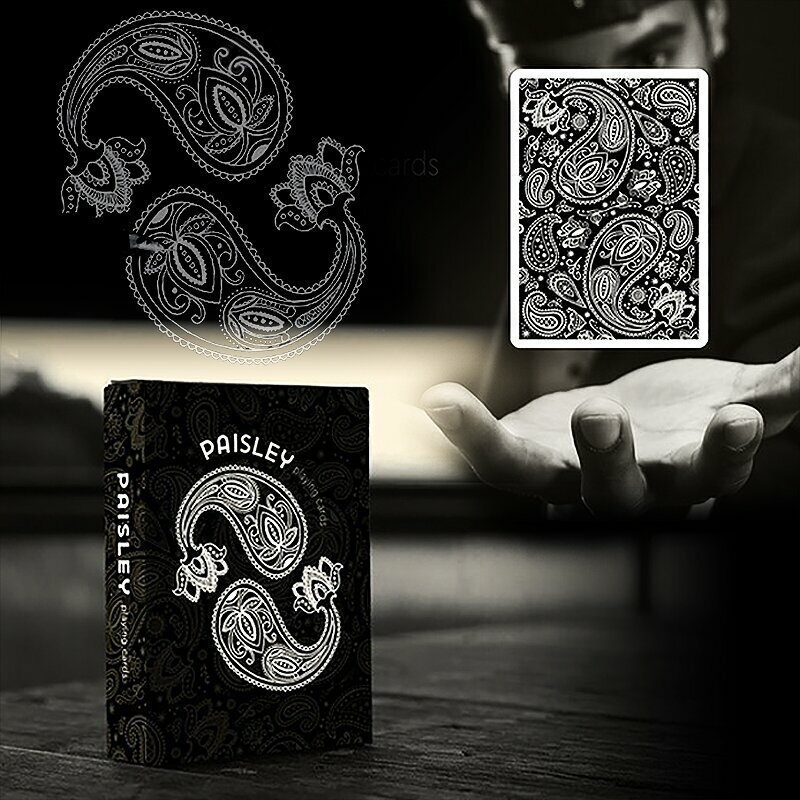 The court cards appear in their traditional designs, but have a slight paisley touch that merges the concept to create a whole, fully custom deck of cards. The majestic ace of spades has always been regarded as the most pretentious card in a deck of playing cards. We did not want to break that tradition! Paisley Playing Cards is not an average pack of cards. A well hidden, two ways, marking system for suits and value has been integrated in the detailed back design. It is very easy to read for the trained eye and completely invisible for your audience. Here is were you can find out how it works. 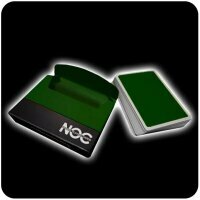 We have also included a double backer and a duplicate face card to help you perform special effects. Of course, cards have to look amazing, but the true mark of a card is how it handles. 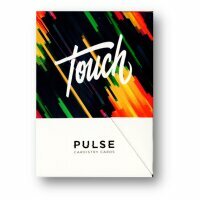 The cards are printed on the Crushed Bicycle grade stock by the USPCC. This makes them last longer, feel incredibly soft and have an amazing snap. The remarkable Air Cushion Finish smoothens the surface, allowing beautiful spreads and fans. 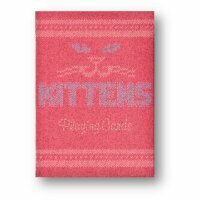 Moreover, the cards are traditionally cut for easy weaving techniques and Faro shuffles." - 52 customized traditional faces with custom Ace of Spades. - Well hidden two ways marking system for suits and value. - 2 identical custom jokers. - Gaff card: duplicate 5ofDiamonds.